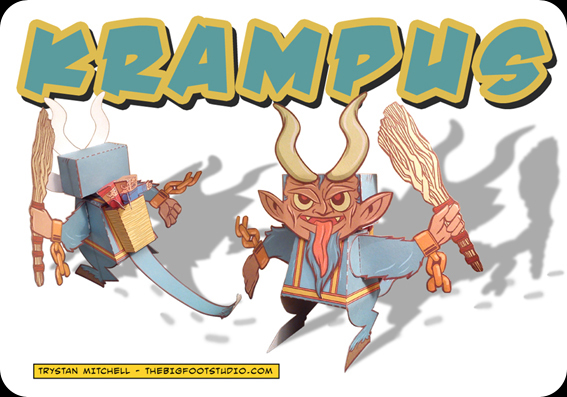 The elemental Yuletide spirit Krampus, rounding up and 'dealing' with all the bad boys & girls at the end of the year! "... a creature from Alpine folklore thought to punish children during the Yule season who had misbehaved and said to capture particularly naughty children in his sack and carry them away to his lair..."
Click on the images to the left or on the download link below to download the full two page PDF template. Works best printed to 190gsm paper or similar.